From “The Cave” on location in Mexico. 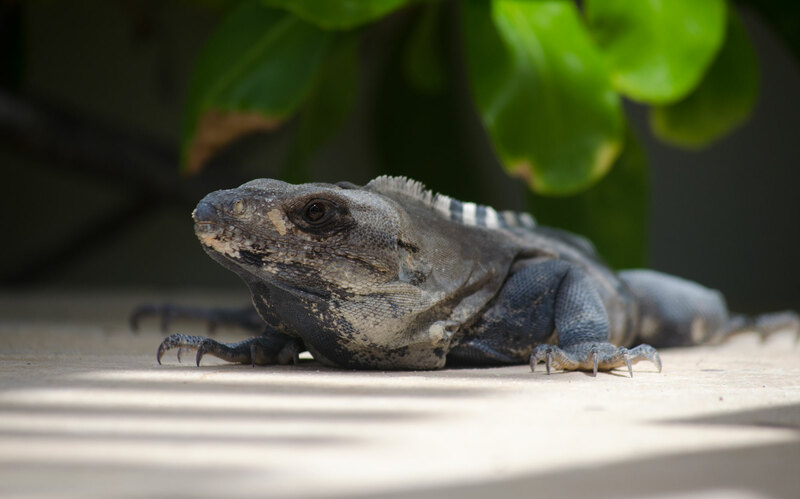 This guy would visit us each day at poolside and we named him “Fred”. Like many of my WordPress friends: I have no idea what his or her real name is or even if he is a him or a her. But always happy for the visit. Because he/she gives me a unique iguana perspective that makes me think, smile and feel better. And he doesn’t have to do anymore than he does to get that reaction. In this case; just crawl out and grab a little sun to warm up in the morning. Just like my favorite bloggers – making the internet a better place by doing what they do. The lesson here is “be yourself and enjoy being yourself” – because that gives others the courage to enjoy being themselves as well. Cheers and viya con dios from the cave. Next > You marking me, Mate? Yeah, more than a couple laps around the pool, just like this hombre!